The endocannabinoid system (ECS) is a key part of most physiological processes and may have therapeutic potential in almost all diseases affecting humans, but there’s a lot to learn about how it works. 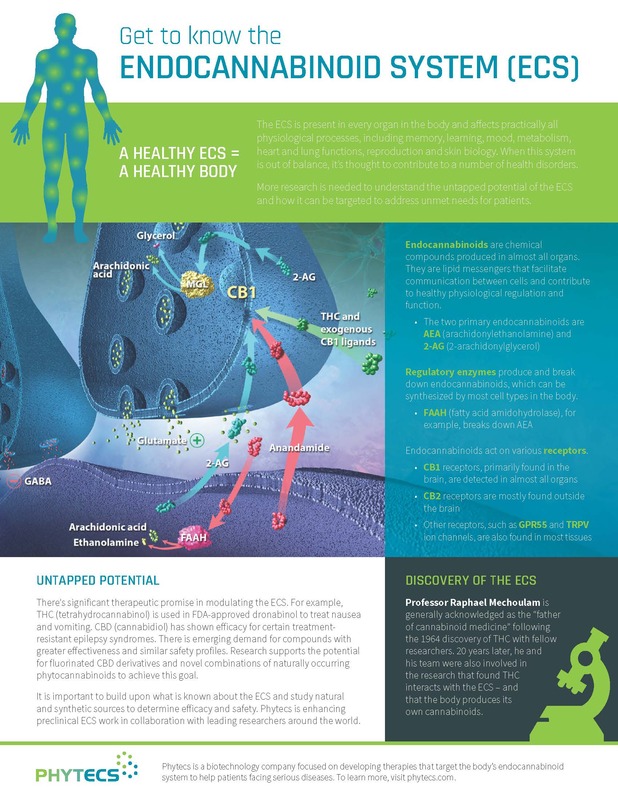 Start here with our simple infographic and discover the components of the ECS and the promise it holds for treating disease. Click here to view a PDF of the infographic. Interested in learning more? Take our tour of the scope and importance of the ECS.